The Cayman Islands Government is facilitating and encouraging further economic growth and attracting additional international investment through the recent enactment of the Special Economic Zone (SEZ) Law. This Law, which specifically caters for exempted companies and exempted limited partnerships, creates an alternative licensing regime, as well as several additional incentives for entities that have already established, or wish to establish, a physical presence in the Islands. These organizations located in the Special Economic Zone may carry on business in any part of the world, however, business activities conducted in the Cayman Islands are restricted to activities that are in furtherance of offshore business. In other words, they cannot compete in the domestic Cayman Islands market. 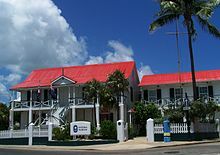 Cayman Enterprise City (CEC) is Cayman’s first SEZ. Their highly anticipated campus will be just over 50 acres and located in affluent South Sound, Grand Cayman. Until these facilities become available in 2018, there are provisions for existing commercial space to be treated as gateway space into the SEZ. The CEC are already operating out of the HSBC Building and the Grand Pavilion, both on West Bay Road, and several businesses are already operating under the regime. Beacon Farms was the vision of Frank ‘Bud’ Volinsky, Granger Haugh and Scott Haugh. The three worked together on several projects to support sober living with The Bridge Foundation and agreed that there was a need for the next step in rehabilitation. Recidivism levels for those in recovery are increased due to lack of appropriate, safe, sober living environments. Many of those recovering from substance abuse issues have few housing, educational, or employment resources available, and are prone to fall back into old behaviors, and poor decision making, which often results in repeated legal involvement. The vision for Beacon Farms is to facilitate a variety of educational and skills programs for residents who are committed to improving their quality of life and avoiding legal issues. Scott Haugh, Granger’s son, is a well-respected leader in rehabilitation services and the concept of the ‘Continuum of Care’ in Seattle, Washington. Scott is a Certified Chemical Dependency Professional with nearly a decade of experience in the field. Granger is a successful retired entrepreneur and has ample experience in building business models from the ground floor. Bud is the founder of a very successful transitional housing facility (The Bridge Foundation) and he has a long career in construction management. The Haugh Family Foundation has provided the investment to purchase the Beacon Farms property along with the needed capital to renovate the structures and till the land in preparation for planting a variety of crops. Scott is providing the professional direction to ensure quality services for the residents assigned to Beacon Farms. Bud has provided the operational leadership and has supervised the overall operation that will facilitate housing and jobs with the vision of a continuum of care for dozens of men and women annually. The Haugh Family Foundation is led by Granger and Margie Haugh. The couple has a 35-year relationship with the Cayman Islands and recently received permanent residence status. Farm to Table is the cornerstone of the entrepreneurial concept called Beacon Farms. Since the property was purchased by the Haugh Family Foundation and leased to this non-profit, many projects followed to prepare the 34-acre parcel for its mission. The renovation of the two houses was the priority and the construction on both is complete. The men’s house, a two-story facility, will welcome six men and provide space for dining, recreation, educational programs and meetings to support recovery services. Beacon Farms CEO, Bud Volinsky, and his wife Kate are comfortably moved into the second facility, the Manager’s Residence, and they are overseeing day-to-day farming and residents’ activities. The driveway from Frank Sound Road has been leveled, widened and enhanced to allow the delivery of the heavy equipment needed to clear the land and prepare the soil for planting. Although the property has a history of farming, the foliage had grown-over, necessitating a heavy duty clearing process, which continues as the expansive property is groomed. One of the workhorses has been the John Deere 5100 Tractor. With a hydraulic hammer head, the John Deere has been grinding up the rock and tilling the soil, handling this monumental task in a timely manner. As crop land is cleared for planting all vegetation is chipped on site and composted so that the soil can be enriched organically. After harvest, crop debris will also be composted on site. Another revenue opportunity gained from the clearing process has been the rock that has been removed and sold to local landowners. Moving forward, greenhouses will be constructed to develop temperature-controlled germination and cultivation environments for traditional and experimental crops. Coconut Products: no longer will Cayman coconuts go to the landfill. Beacon will process its own coconuts and others gathered on Grand Cayman. Coconut Oil, Water, Flour, and Husks will be marketed. The Beacon Farms garage will be transformed into a soils laboratory and a clean food grade processing area. Soil nutrient testing for Nitrogen, Phosphorus, Potassium and other nutrients will allow Beacon Farms to produce its crops under organic conditions.